These natural teeth are non-restorable, but with the technology available we provided a very functional and esthetic result. 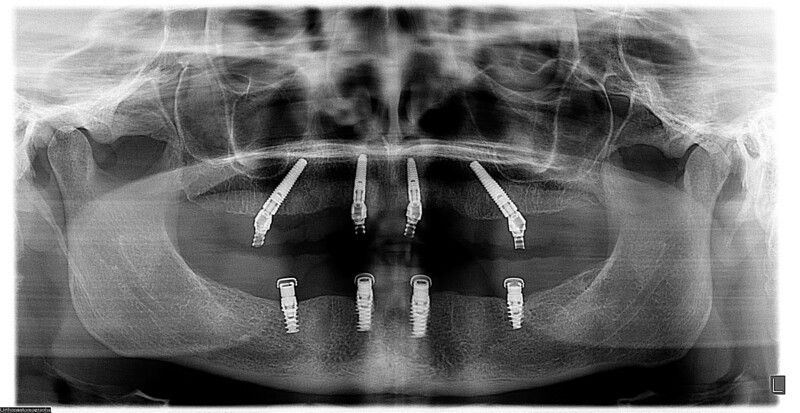 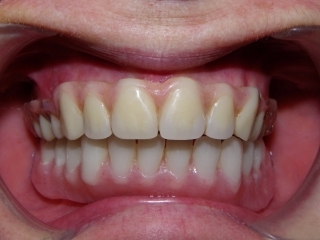 The case was treatment planned using a fully guided implant system, Nobel Biocare. 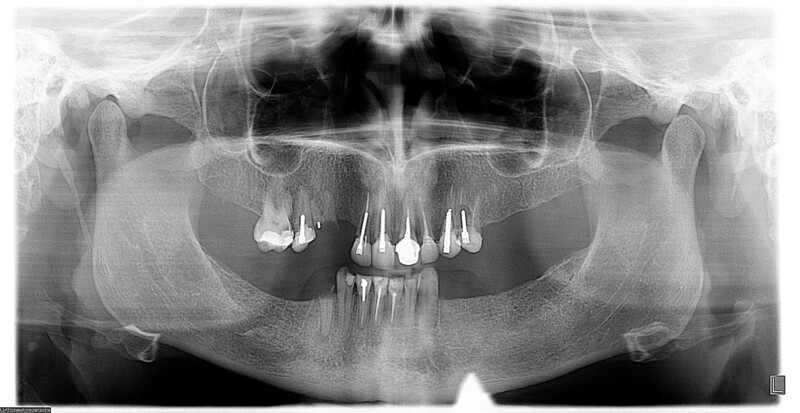 The maxilla (upper) are supported by 4 implants. This technique is referred to as the All-on-4. 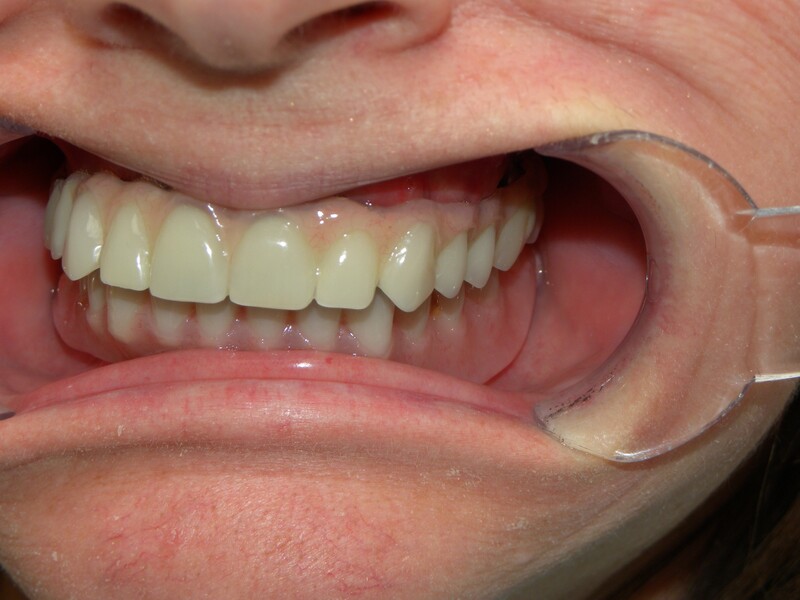 The maxilla is a screw retained wrap around prosthetic and removed only by a dental professional. 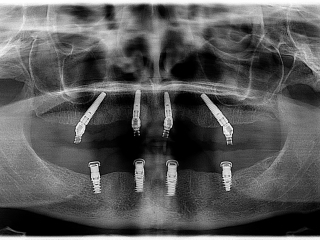 The patient will have the teeth removed and placed back onto the implants every 12-18 months. 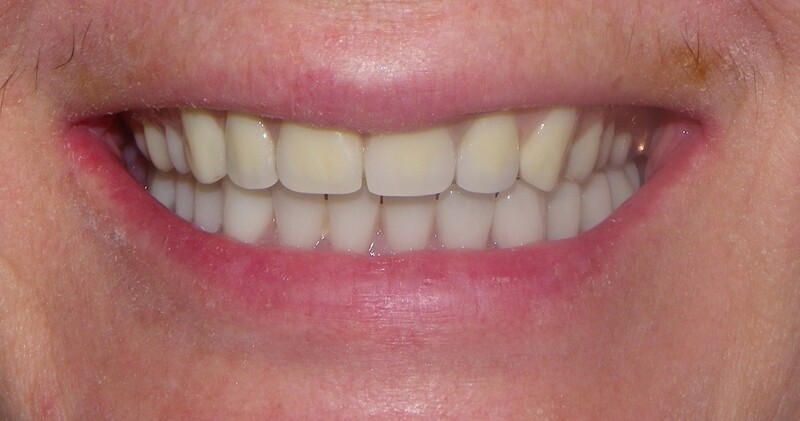 This is an easy appointment done in less then an hour. 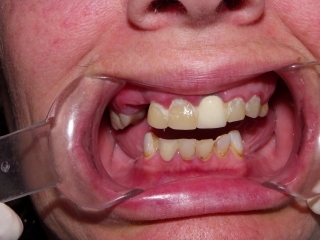 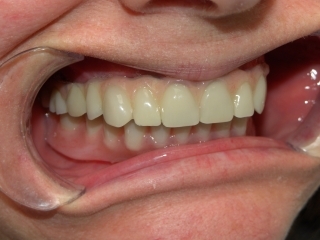 This prosthetic is as close to having natural teeth as a patient can get. 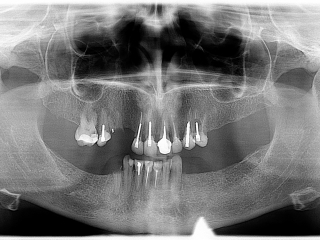 The mandibular teeth (lower) are supported by 4 implants. 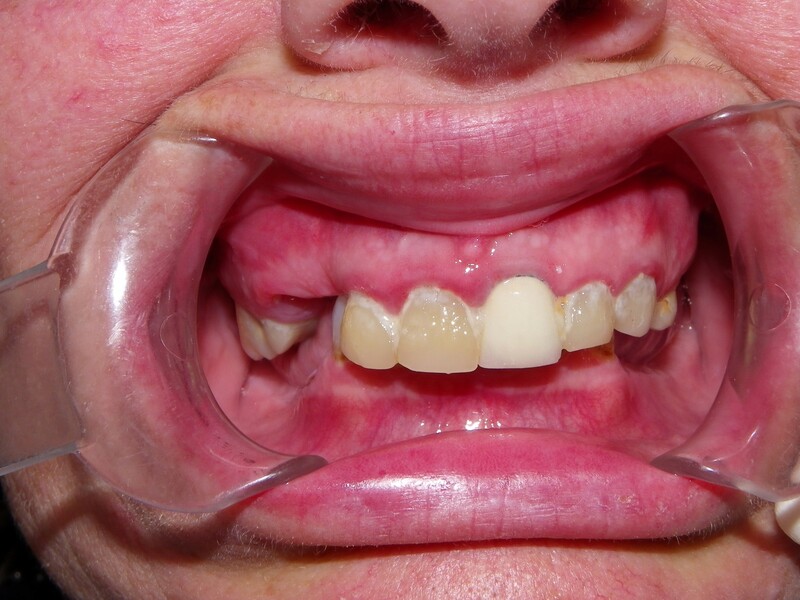 This lower denture is removable and the patient doesn’t sleep with this in their mouth at night. This type of denture is more of a traditional denture but because it is implant supported the patient is able to function as close to normal as possible. 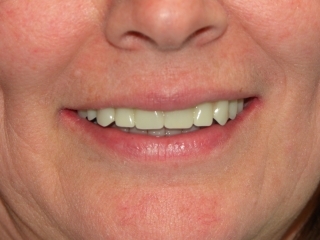 The outcome was very predictable because of the technology Dr. Dove has invested in. 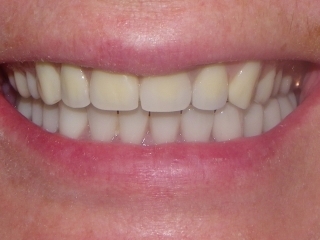 This provides our patients with a very great service.